Are you one of those women who simply can’t have enough totes? We agree, it’s a good habit to have and to feed it we bring you this beautiful, retro-looking tote pattern. While the body of the bag is lacy, the bottom and top are denser to prevent stuff from dropping out and the top from ripping. To enhance the vintage design, it’s a great idea to use retro colors. In particular, the cyan version below is a very ’50s touch. Other combinations are obviously possible, and can be used to tone the tote down, or enhance it with a more modern style. Link to a free pattern is below. 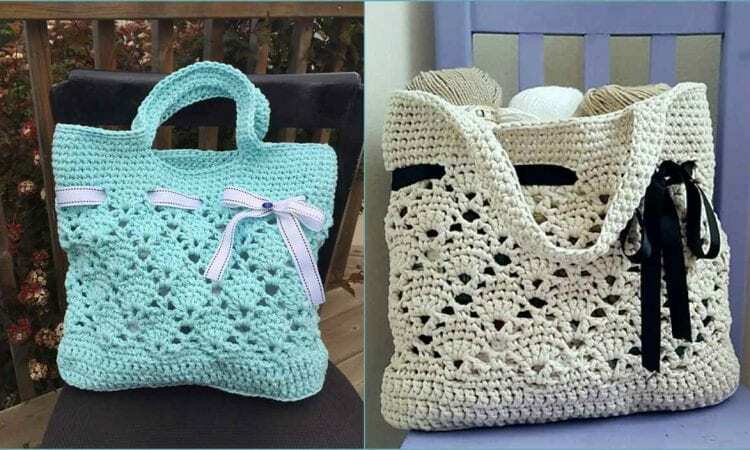 Vintage Market Tote – visit the free pattern site. More info about yarn from the first photo you will find here. Please take me off your list. I am finding very little of interest to me.